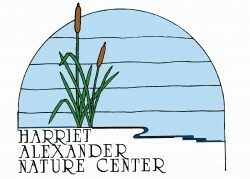 If you’ve never been to the Harriet Alexander Nature Center, here is your chance to check it out. We discovered it for the first time a couple of years ago and enjoyed it so much we have returned several times. Located in the Roseville area, you can forget how close you are to the city at this hidden gem. We enjoy the great walking trails and the nature center itself offers some great learning opportunities. Tomorrow is the annual open house at HANC (Harriet Alexander Nature Center). It takes place from 12:30-4:30. The theme is “The Year of the Pig”, with all sorts of great activities, crafts, treats and exhibits to enjoy. Come out to the Harriet Alexander Nature Center’s Open House for a celebration of pigs and their relatives as we mark the Year of the Pig on Sunday, February 10, 12:30-4:30pm. You’ll be “happy as a pig in clover” as you enjoy some music, treats, and some of the fun customs of Chinese New Year. As a special treat, Mudonna, the St. Paul Saints mascot, will be making an appearance from 1:30-2:30pm! You can also check out the nature center’s displays including the fabulous indoor tree feature and explore the boardwalk out in the marsh.